Wow, it looks like the team has been really busy as I found yet another new feature I was not aware of. This one, again, is on Android. Now it is possible for users to set how many days of mail to sync in order to help save storage space on your device. It's a bit limited, but still a nice feature. 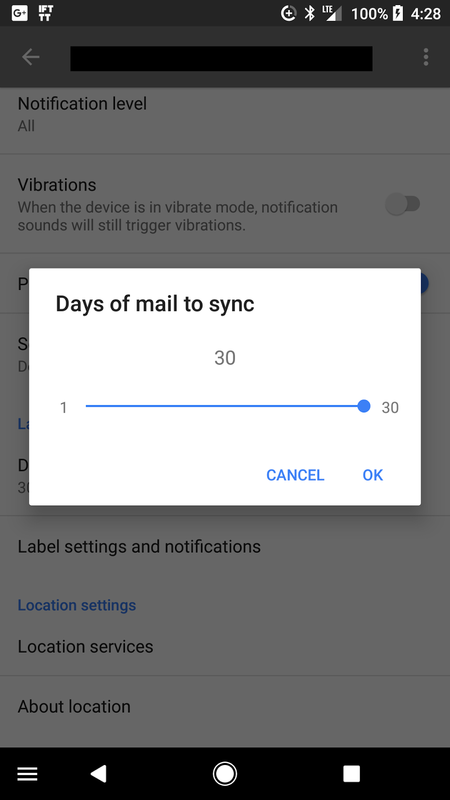 Just navigate over to the settings in the menu on the left, choose your account, and then select Days of mail to sync. From there you will be presented with a popup with a slider to pick anywhere from 1 to 30 days. Simple as that. It would be nice, however, for those that don't care about storage space, to be able to sync all mail, but that seems to be a thing of the past now.